This Sunday will be a huge treat for cricket fans. Two huge matches is set to fire in the ground. Rajasthan Royals takes on Delhi Daredevils in the first clash at Delhi. First home match for Delhi. The crowd expected to come in large numbers to cheer their team. Delhi Daredevils definitely looking for their breakthrough in their home. Rajasthan Royals, the team never fails to impress will expected to continue their charm in this game. Here’s the match preview, live scores and live streaming for you. The underrated team Delhi impress with their first game against the mighty Chennai Super Kings. They lost by just 1 run. They’ve inexperienced bowling line up but they can able to restrict the destructive batting line up of Chennai on 150. The batting line up couldn’t able to deliver their best in the chase. Albie Morkel, the lone warrior scores unbeaten 76*. This time they are expected to deliver their best in home. Rajasthan royals, The team plays magnificent cricket throughout the all IPL seasons is ready to fire once again. They beat IPL 7 runners-up the powerhouse Kings Xi Punjab in their IPL opener game. The Australian hero of the year Steve Smith captained the team in that match because of Shane Watson’s injury. He led the team very well. Live Streaming : Sony Six(English), Sony Kix(Tamil), Set max(Hindi), Hotstar app. to play today. The opening pair doesn’t look impressive so the changes in top order is must for Delhi Daredevils. The big-money player Yuvraj Singh may occupy no.4 in the batting line-up and the skipper Jean-Paul Duminy may follow after him. Albie Morkel will be the key with both bat and ball today. Rajasthan Royals looks a set team. If Shane Watson returns to the team that will be a bonus for them. Shane Watson helps them with both bat and ball. Ajinkya Rahane, who fail in the first match will may give a great comeback. Hooda playing a cameo in the previous match will be a impressive find of this years IPL edition. Janes Faulkner, the game-changer , the man of the match in the opener for Rajasthan Royals is always crucial and he hold the key for the victory in the upcoming match against Delhi Daredevils. So this special Sunday have the double IPL treat. Watch out for the fireworks of bat and for the swinging incoming outgoing balls. We are with you for the Delhi Daredevils vs Rajasthan Royals live scores and live streaming. 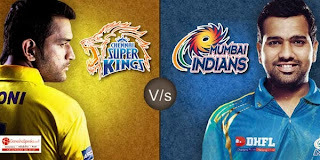 Stay tune with us for the all IPL live actions.